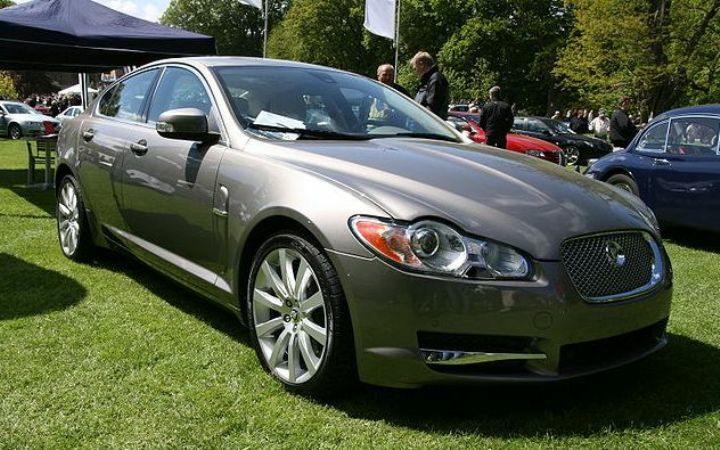 Additional Info: Also available is a 234bhp 3.0 V6 (0-60 in 7.9, 1/4 mile in 16.1, 148mph top speed), a 2008-2009 293bhp 4.2 V8 – non supercharged (0-60 in 6.2, 1/4 mile in 14.9, 155mph top speed) and a 2009 on 379bhp 5.0 V8 replacement for the 4.2 (0-60 in 5.5, 1/4 mile in 14, 155mph top speed). 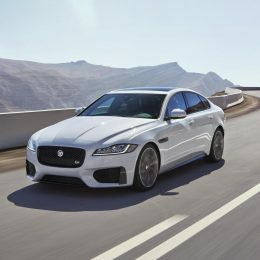 Diesel options are a 204bhp 2.7 (0-60 in 7.7, 1/4 mile in 16, 143mph top speed) and a 236bhp 3.0 (0-60 in 6.7, 1/4 mile in 15.3, 149mph top speed) and a 271bhp 3.0 (0-60 in 5.9, 1/4 mile in 14.6, 155mph top speed). 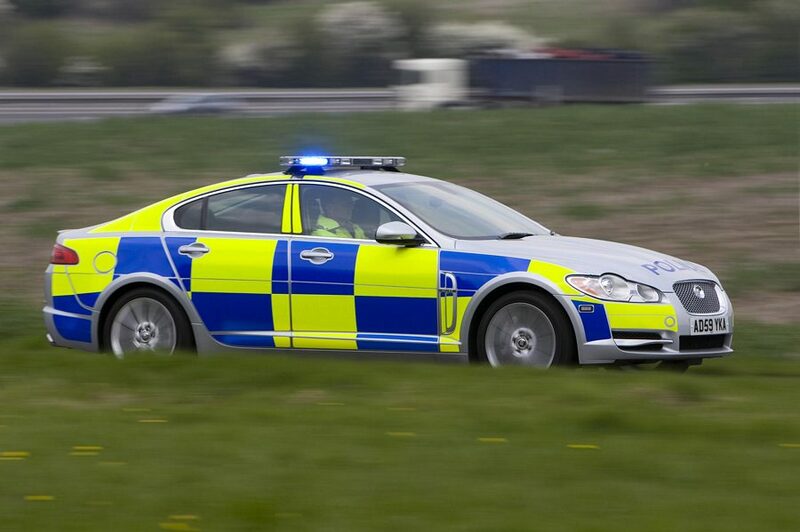 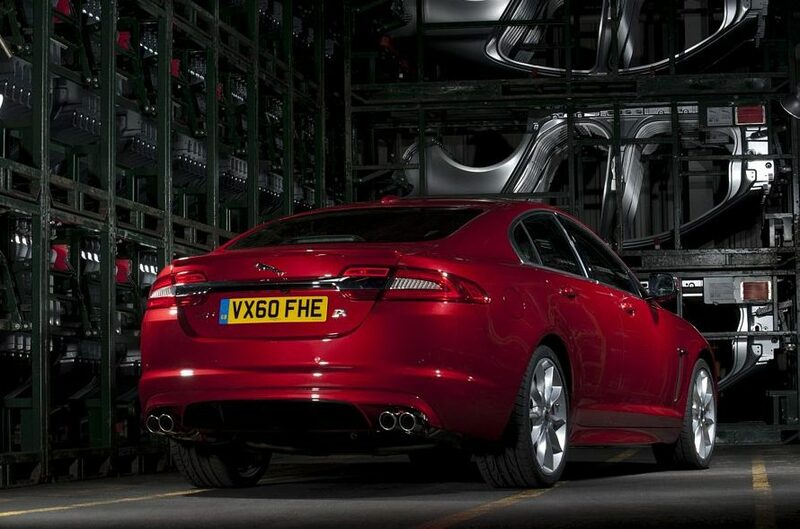 In 2011-2012 a 271bhp 3.0 V6 was available and also in 2011 a 335bhp supercharged 3.0 V6 was added with a 0-60 time of 5.7 secs. 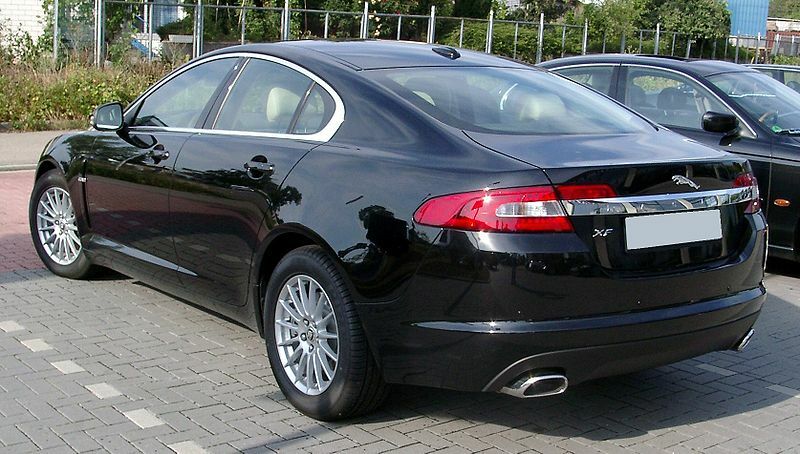 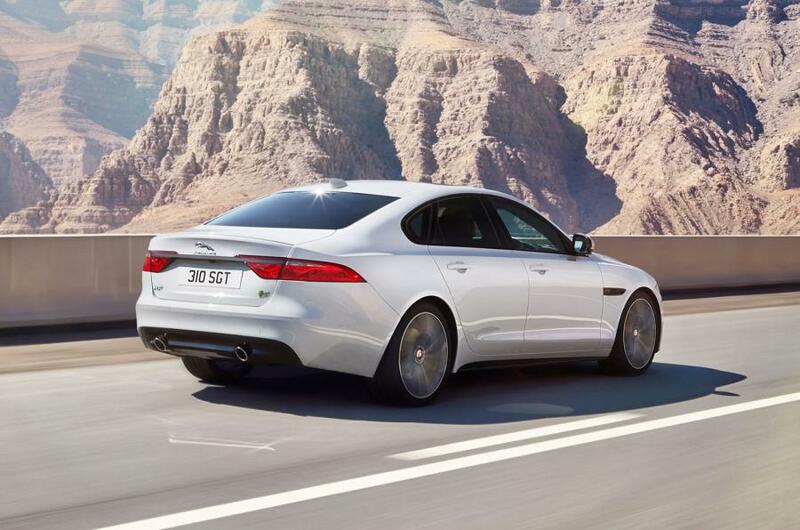 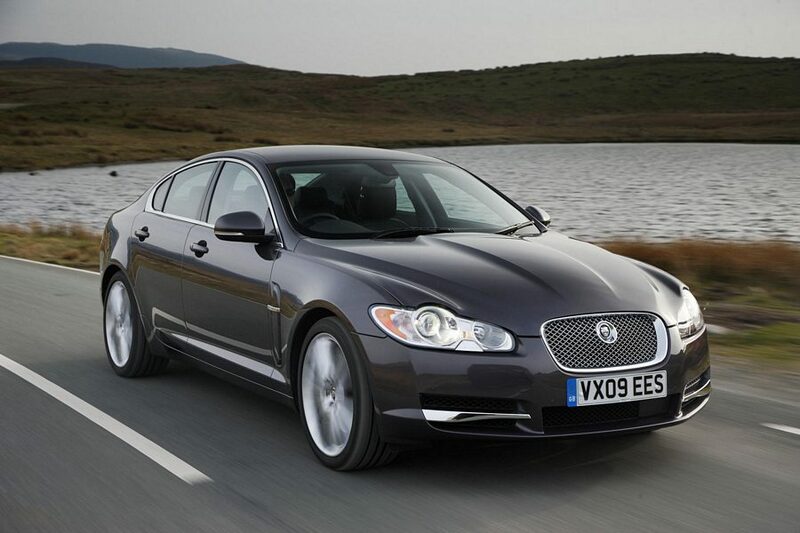 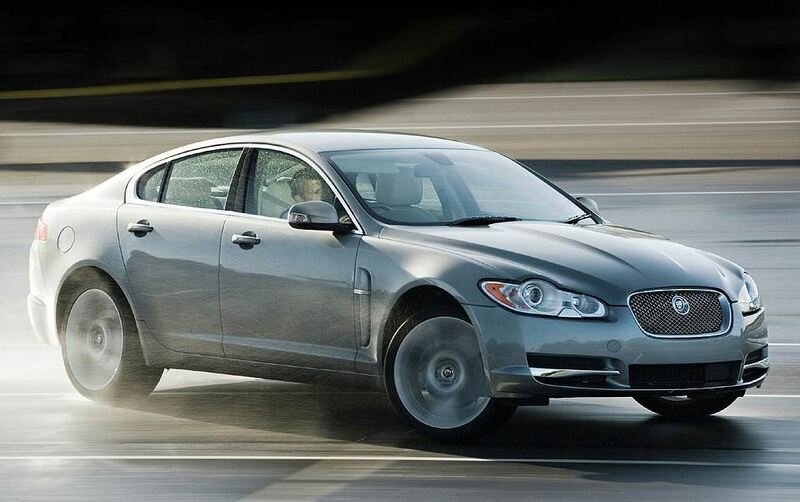 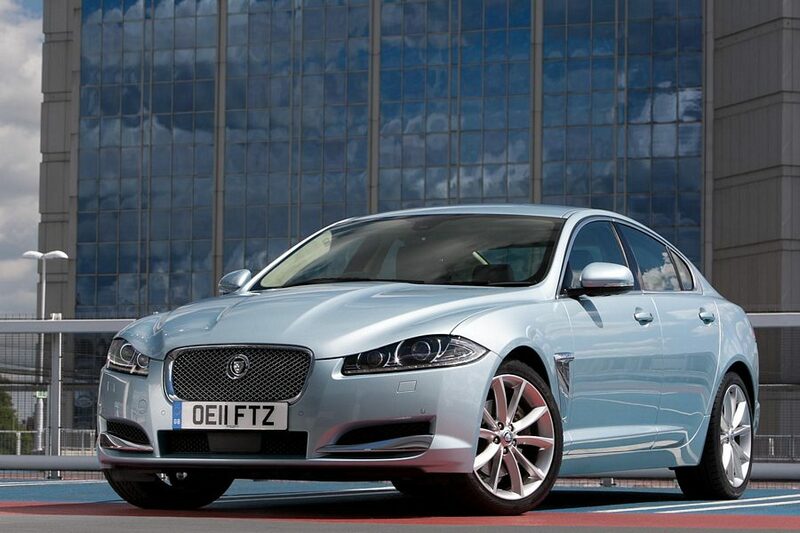 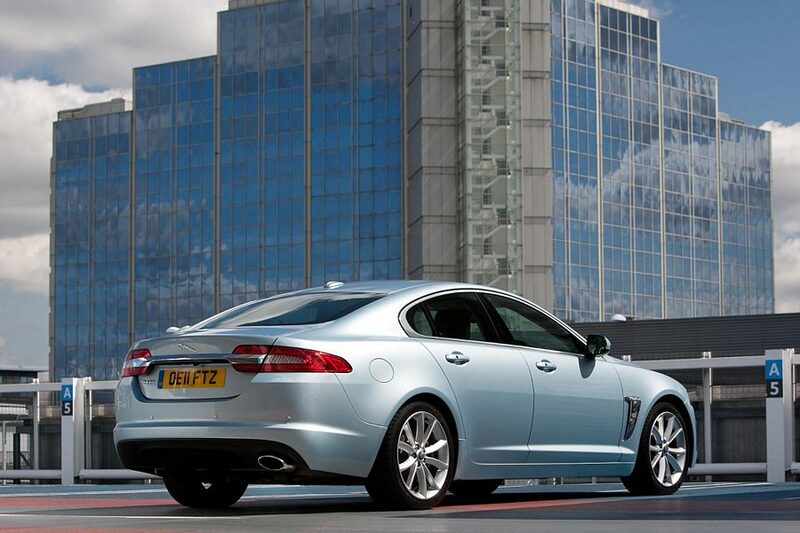 See below for the 2015 XF. 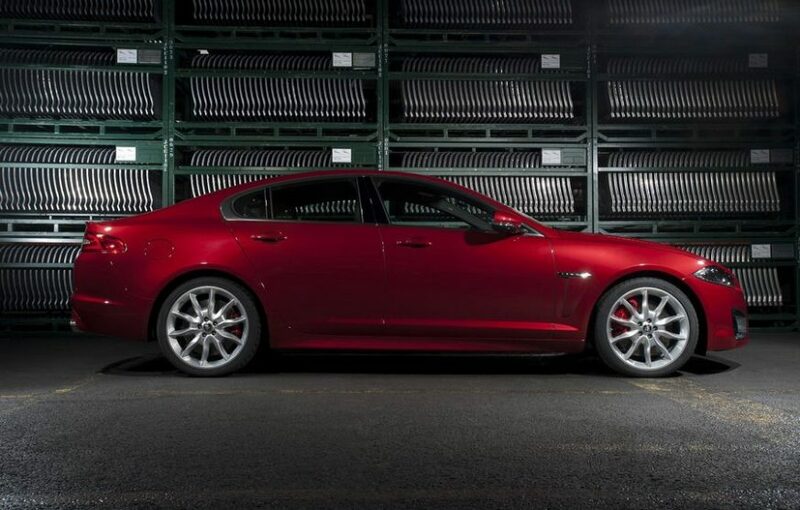 Additional Info: The XFR has larger front bumper intakes and bonnet vents have been added to give additional air flow in and out of the engine bay. 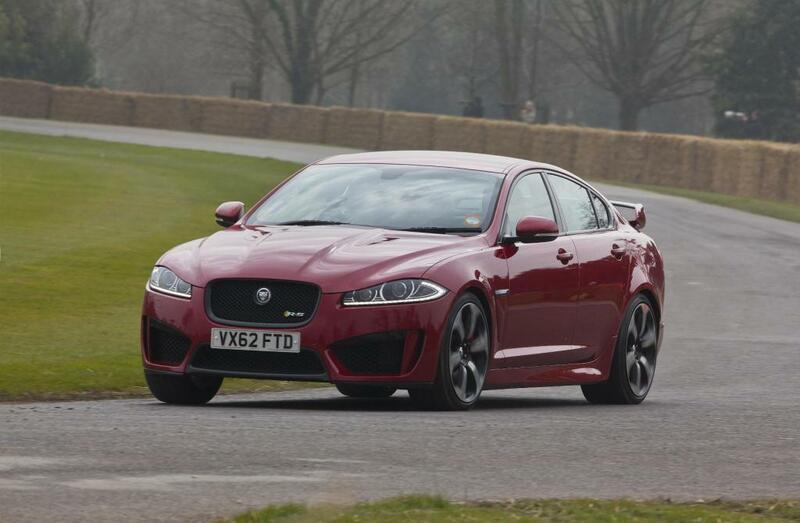 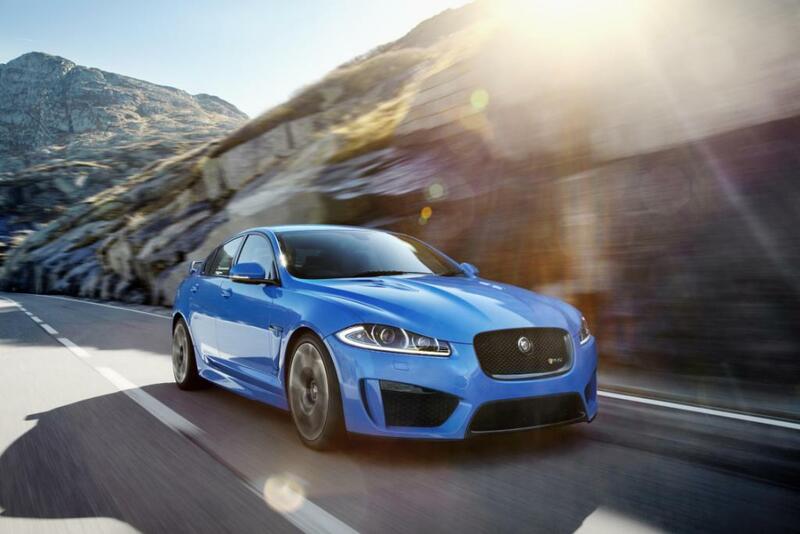 Additional Info: The XFR-S has been put together by Jaguar’s ‘Engineered to Order’ division and has an even more aggressive styling, with functional carbon fibre additions, improving aerodynamics. 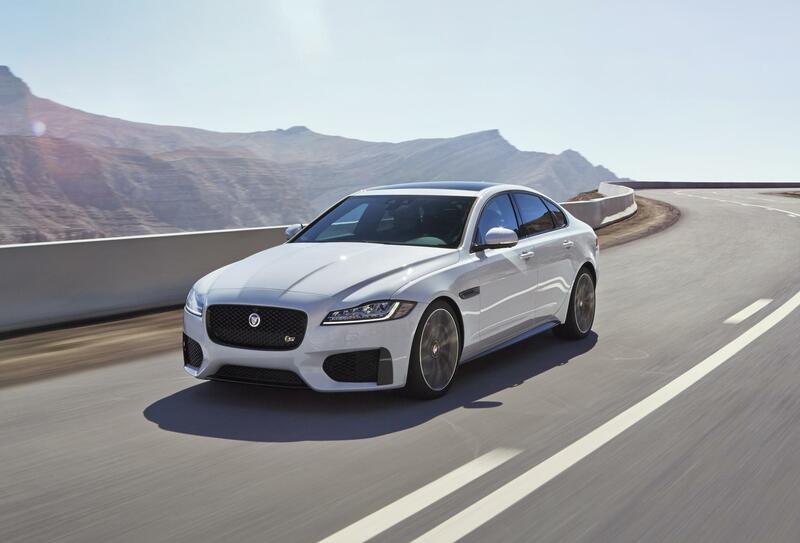 It also get’s more power, uprated suspension, wider 20″ wheels, a sporty 8 speed automatic transmission and adaptive limited-slip differential. 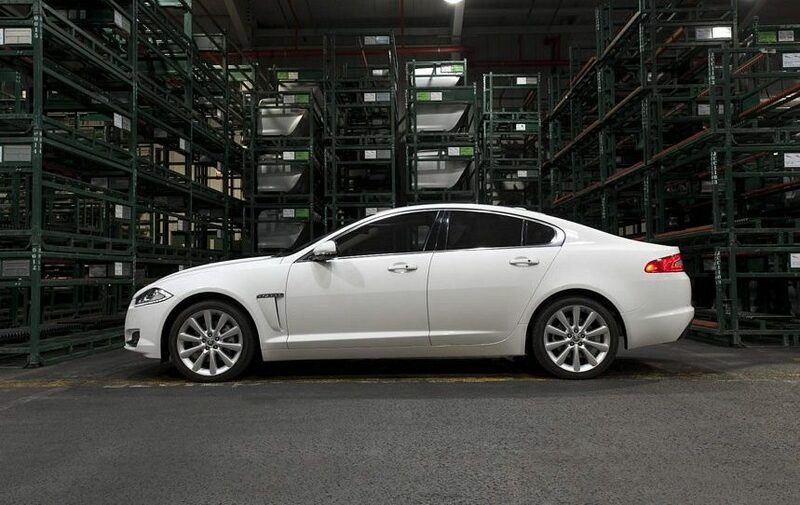 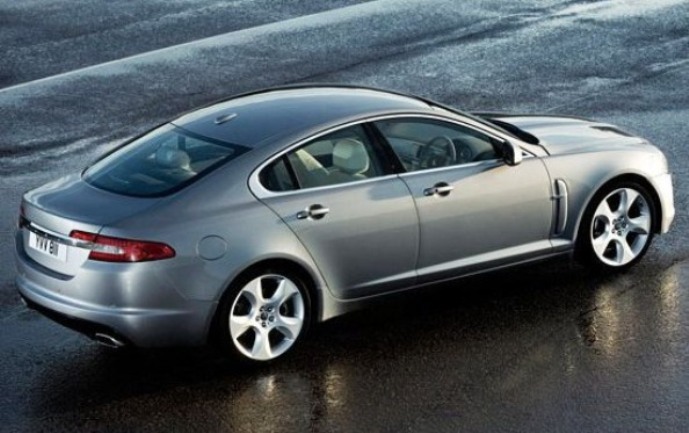 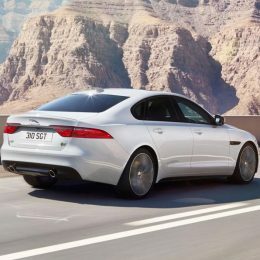 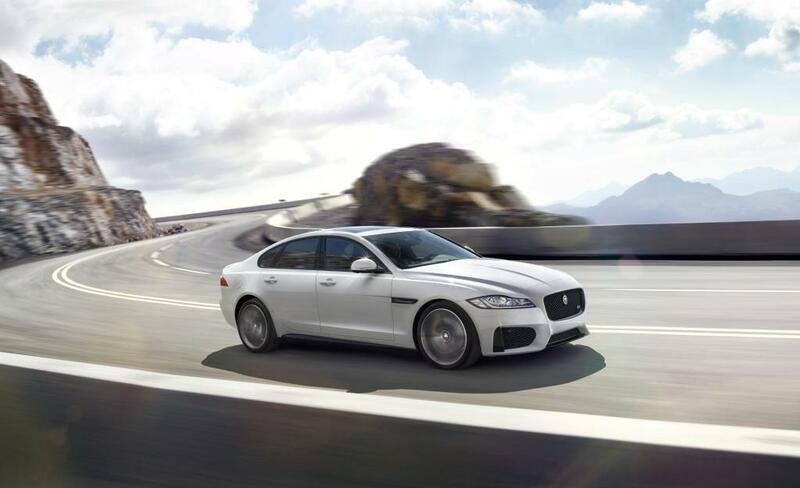 Additional Info: The 2015 XF uses Jaguar’s advanced aluminium-intensive architecture to create a strong lightweight aluminium structure to save weight, increase torsional stiffness and give 50:50 weight distribution, putting it ahead of its rivals. 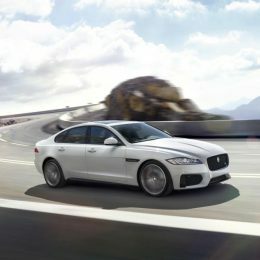 Features include an Electric Power Assisted Steering (EPAS), Advanced passive damper technology, Adaptive Dynamics system, torque on-demand AWD system, Intelligent Driveline Dynamics (IDD), all-new InControl Touch Pro system with a 10.2-inch touchscreen and reconfigurable 12.3-inch TFT instrument cluster. 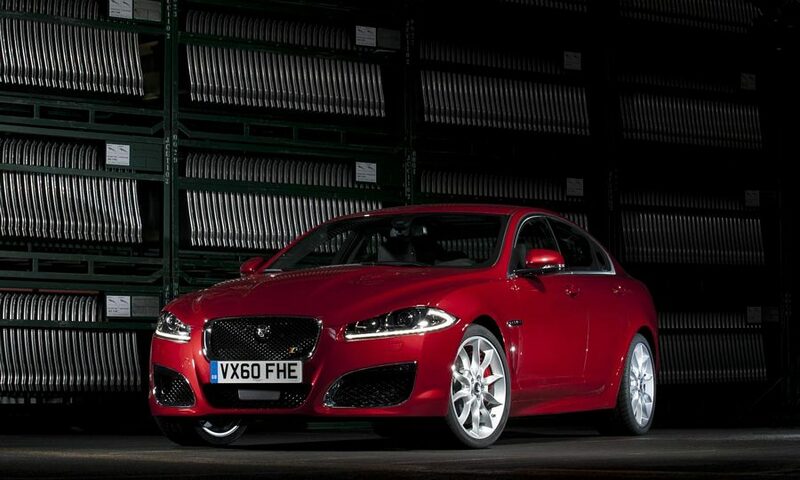 Also available is a 295bhp 3.0 diesel (0-60 in 5.8 seconds).